Lift up, o gateways, your lintels, open up, you ancient doors, that the King of glory may enter! Who is the King of glory? The Lord, the strong, the mighty, the Lord, valiant in battle. Lift up your lintels, o gateways, open up, you ancient doors, that the King of glory may enter! Who is the King of glory? The Lord of Hosts, He is the King of glory! Now I am sending My messenger ahead of Me to clear the way; then suddenly the Lord for whom you long will enter the sanctuary. The envoy of the covenant which you so greatly desire already comes, says YHVH of hosts. Who can bear the day of His coming and remain standing when He appears? For He will be like fire in the foundry and like the lye used for bleaching. He will be as a refiner or a fuller. He will purify the sons of Levi and refine them like gold and silver. So YHVH will have priests who will present the offering as it should be. Then YHVH will accept with pleasure the offering of Judah and Jerusalem, as in former days. There is nothing to fear, brothers and sisters in Christ, if we have our anchor in the Lord. There is nothing to fear, if we put our trust in God and have Him as our support. That was what Jesus told His disciples, that if they had had faith in Him, a complete faith that is, then they would have no need to fear at all, for God is with them, and protecting them. We fear because we do not put ourselves completely at the side of the Lord, and the worries and the concerns of this world still occupy part of our hearts and minds. And indeed, as what happened to King David of Israel in the first reading, in continuation to what we heard yesterday, is because of this lack of faith. Not lack of faith in the sense that there is no faith, but because that faith is not complete. We have faith in God and profess it to Him, but we too are still peoples of this world, and therefore are prone to the corrupting influences of the devil through various means he utilises in this world. Lust, greed, anger, jealousy, hatred, pride, and many others as you can name it, these are the evil influences that remain in our hearts, and these may possess threat to us and our state of grace if we do not have strong and solid faith in God. They are like those storm and gale winds that blow across the lake, when the disciples of Christ with the Lord were in the boat, shaking them and threatening to sink them. Those storm and gales brought fear in the hearts of men, and if they have no concrete and strong faith in God, they will be swept away. This is much like those who indulge themselves in the pleasures of the world, and failed to resist their corrupting influences. That was what happened to David, the king of Israel. He was one of the most faithful servants of the Lord and dutifully followed the laws and commandments of God, but this did not mean that he was invulnerable to the same corruptions that threaten us. If anything, the example of David and what he did to Uriah and Bathsheba can be a good lesson for us, that power, influence, lust, greed, and many other worldly things can corrupt, even those who are faithful if we let our guard down, as David did. From what David had done, we can learn that we all have been made God’s stewards in this world, and to each one of us had been entrusted a certain responsibility, with the power and authority we have been entrusted with. To David, who had been made king, great responsibilities had been placed upon him, and God know the faith that was in David, that he would be able to shoulder them. But that did not make David to be immune from the same ailment that affects everyone who had been entrusted with power. With power often comes desire and greed, because power does corrupt our hearts and minds. We are also vulnerable to the same afflictions. Power and authority if not based on solid faith in God will open us to the influences of evil spirit, and we will fall into sin. Nevertheless, as you know, after we fall, we should not continue to lie down in defeat on the ground. Instead, we should rise up again, and walk again in the way of the Lord. If we continue to linger in our fallen state and do not try to rise up again, and if we even prefer to linger in that darkness, then we are truly doomed. David made his mistakes and he erred before the Lord, but he made a conscious effort to repent from his sins and asked the Lord for His forgiveness. We too should follow David’s example in seeking the Lord with all of his heart, be it in times of happiness, or sorrow, or in regret, as he had done after realising the depth of his sins of adultery and murder before God. And we should do so with genuine faith, and one that is strongly anchored in the Lord our God. Trust in God and put our faith in Him, and we will certainly be safe. We will meet challenges and tribulations, like the disciples meeting the great storm and gale winds, but as long as the Lord was with them, they would not sink. The same therefore also apply to us, as if we put our complete faith in God, and anchor our lives in Him, then we should not worry, because we will be ever solid and strong against the forces of evil assailing us from all sides. May the Lord continue to be with us and guide us, bless us with His presence, and affirm within us our faith. May He stand by us as we are being battered by the storm of our lives, that we may remain faithful in Him, and therefore receive in the end the reward for our faith. God bless us all. Amen. On that same day, when evening had come, Jesus said to them, “Let us go across to the other side.” So they left the crowd, and took Him away in the boat He had been sitting in, and other boats set out with Him. Then a storm gathered and it began to blow a gale. The waves spilled over into the boat, so that it was soon filled with water. Jesus was in the stern, sleeping on a cushion. Deliver me, o God, from the guilt of blood, and of Your justice I shall sing aloud. O Lord, open my lips, and I will declare Your praise. David said to Nathan, “I have sinned against YHVH.” Nathan answered him, “YHVH has forgiven your sin; you shall not die. 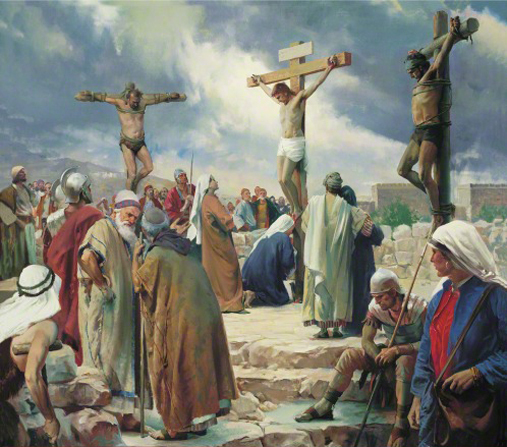 However, because you have dared to despise YHVH by doing such a thing, the child that is born to you shall die.” Then Nathan left and went to his house. YHVH struck the child that Uriah’s wife bore to David and he became sick. David entreated God for the child; he kept a strict fast and lay on the ground the whole night. The elders of his house asked him to rise from the ground but he refused. Nor did he join them to eat. Today, Thursday, 30 January 2014, Cardinal Giovanni Batista Re of Italy, Cardinal-Bishop of Sabina-Poggio Mirteto, the Prefect Emeritus of the Congregation for Bishops, turns 80, and therefore, according to the rules written in the Apostolic Constitution Universi Dominici Gregis, he loses his right to vote in any future conclave. Cardinal Giovanni Batista Re was made Cardinal-Priest of Ss. 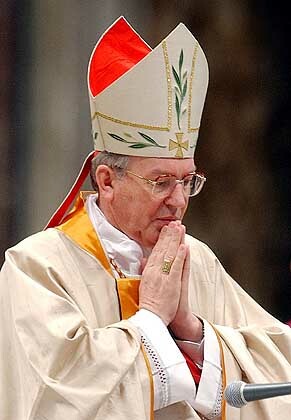 XII Apostoli by Pope John Paul II in the 2001 Consistory of Cardinals on 21 February 2001, the eighth Consistory of his pontificate. 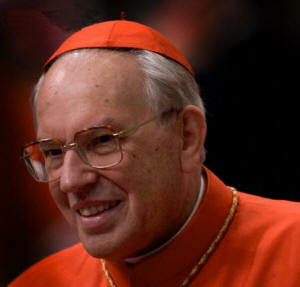 Cardinal Re was made a Cardinal in honour of his long service to the Church as the Secretary of the Congregation for Bishops and the College of Cardinals from 1987 to 1989, and works in the Secretariat of State, until in 2000 when he was appointed the Prefect of the Congregation for Bishops. 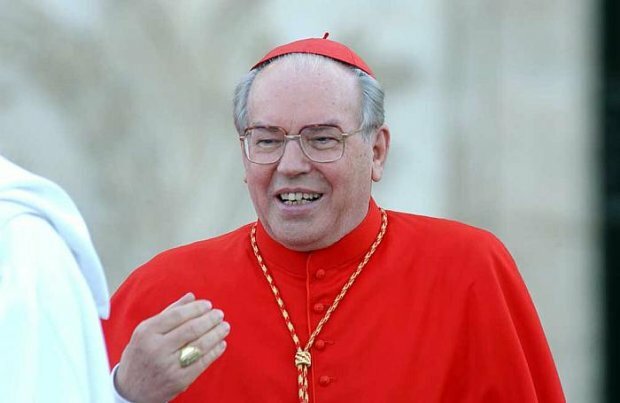 Cardinal Re was promoted as one of the six Cardinal Bishops in the Church in 2002, after the passing of Cardinal Bernardin Gantin of Benin. In his position as the senior Cardinal Bishop under 80 in 2013 Conclave, he is the Acting Dean of the College of Cardinals in the 2013 Papal Conclave which elected Pope Francis as the 266th Pope and Leader of the Universal Church. May God bless His Eminence Cardinal Re, with a blessed old age and health. May he remain strong in the faith and hopefully can perhaps still continue to work great graces and good works of love and peace in his old age and retirement, as he continued to minister to the people of God. The College of Cardinals now stands at 199 members in total, with 106 Cardinal-electors and 93 Cardinal non-electors. 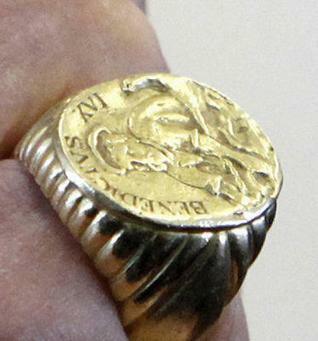 There are now vacancy of 14 Cardinal-electors as compared to the maximum number of electors allowed in the Conclave of 120, although Popes John Paul II and Benedict XVI had sometimes surpassed this limit. 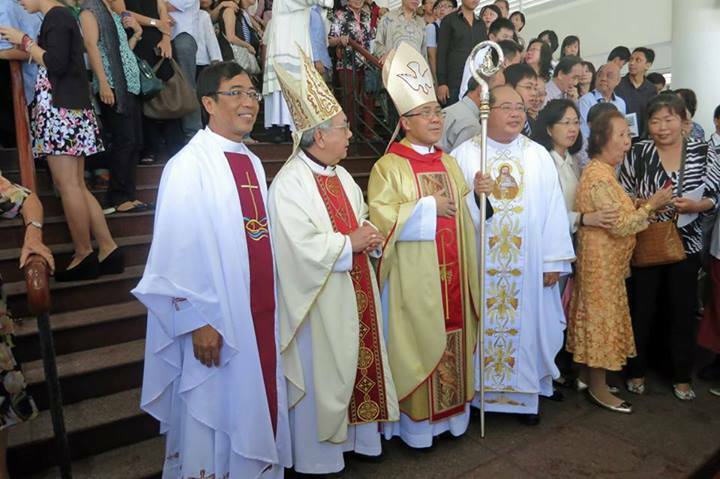 Next Cardinal-elector to age out (80) will be Cardinal Jean-Baptiste Pham Minh Man, the current Metropolitan Archbishop of Thanh-Pho Ho Chi Minh (Vietnam), on 5 March 2014.